Most of us have little chance of performing on the world stage, such as playing on the fields of soccer's 2014 World Cup, in Brazil. We can, however, use the same grass that carpeted those South American soccer fields. Half of the 12 stadiums that hosted the World Cup used turfgrass bred by the United States Department of Agriculture's (USDA's) Agricultural Research Service (ARS) and the University of Georgia. 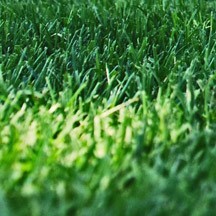 One of those bermudagrass breeds, shade-resistant and tough-wearing TifGrand, was chosen for three Brazilian stadiums. If you are struggling to grow grass in the shade, TifGrand may be the answer to your troubles. Grass enjoys sunshine, but can suffer from too much heat. It needs direct sunlight for part of the day. The balancing act most homeowners must perform is to keep a lawn lush, green, and inviting without bathing it in harsh chemicals or spending most of every weekend working at it. Is my lawn in constant shade? Is my lawn in filtered (intermittent) shade through a treeline? Does my lawn get full sun? How long does full sun strike my lawn? What times of day does my lawn get full sun? The great advantage of selecting grass in easy-to-install sod form is that your lawn is instantly lush, green and ready to enjoy. Some homeowners can struggle with bags of seed, spreaders with fertilizer, and constant re-seeding to deal with the bald spots. When you arrange for a perfectly measured delivery of TifGrand sod, you simply roll it out, give it a generous watering, and then enjoy it. TifGrand gets its name from the Georgia town of Tifton, where the ARS worked with the University of Georgia to develop bermudagrass breeds. TifGrand was the result of crossbreeding 27,000 grass lines over some 20 years of work. This hardy grass withstands cleats, constant foot traffic, and heat. It is the breed to select when you want to grow grass in the shade. Tifgrand is a fine-bladed, semi-dwarf grass that cuts cleanly with either a reel or sharply bladed rotary mower. No grass can grow in complete shade (you could consider hardscaping or mulch for such spots), but beneath the wide spreading limbs of a Blue Palo Verde tree, TifGrand performs well with only four or five hours of sunlight. TifGrand enjoys pampering, so you may find it needing a little more maintenance in full sunlight, but it will reward you with a lush, dark green color that tolerates salty, arid soil moderately well. TifGrand is only produced by licensed Certified Producers such as Evergreen Turf. When you are ready to grow grass in the shade, contact Evergreen Turf to learn more about TifGrand sod.